Sarah & Will held their wedding ceremony and reception at the charming and idyllic Coed Y Mwstrw Hotel Bridgend. As wedding photographers Coed Y Mwstrw offers you a fabulous opportunity for great pictures and with such a lovely couple as Sarah & Will we were assured of some stunning wedding photography. 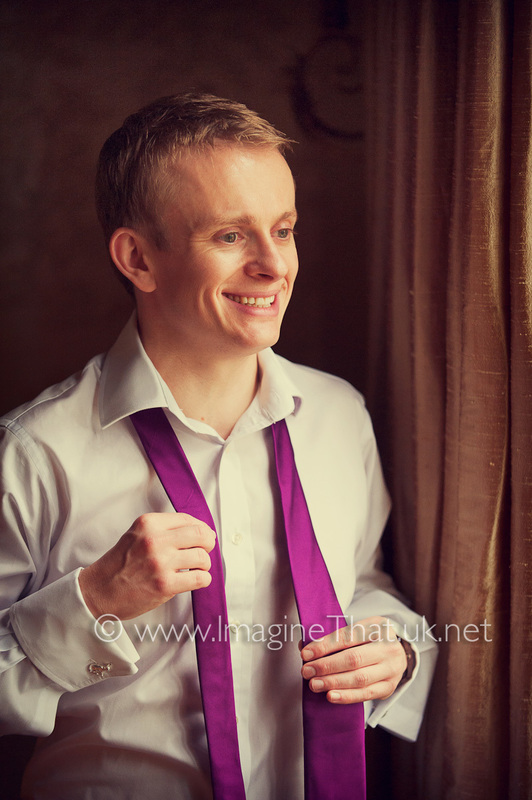 The wedding day began with Will and his groomsmen in one of the cottages. The morning was very relaxed with plenty of banter and laughs, often at Will's expense. Then it was a short walk to Sarah's room for her bridal preparations. When we arrived Sarah looked beautiful, her wedding dress had gorgeous lace detailing and lace capped sleeves which made Sarah the centrepiece of a beautifully elegant vintage themed wedding. 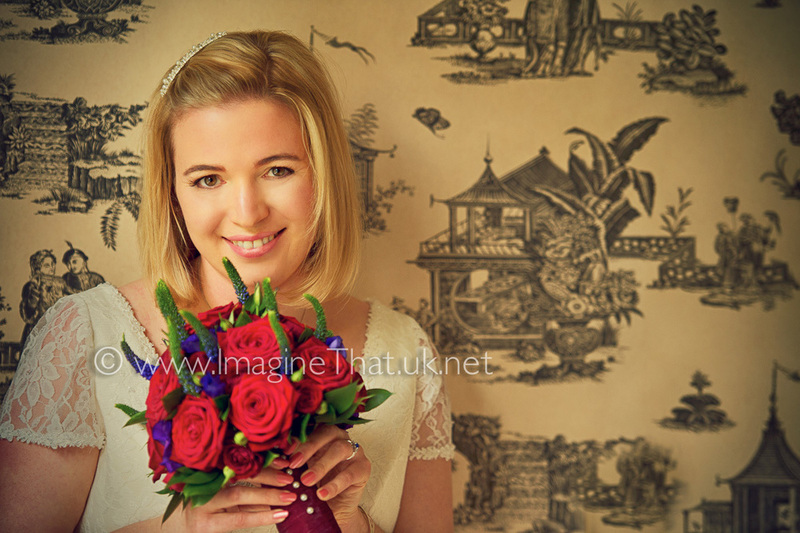 The contrasting red rose bouquet work so well with her dress and the bridesmaids. The ceremony was an intimate occasion with close family and friends. Afterwards, even though the wind was almost gale force Sarah & Will braved the elements to create some great wedding photography. There are lots of lovely little unique locations around Coed Y Mwstrw which offer shelter from the wind and great opportunities to make lovely photos. With the weather against us, it wasn't possible to do confetti after the ceremony so we took a gamble and kept it till the evening and sure enough the rain stopped and the wind died down just enough that we are able to great some amazing night confetti photography. We are currently processing over 760 images from Sarah & Will's wedding but we hope you like these highlights of their wedding day. Don't forget to leave a comment below for the couple and let us know what you think.